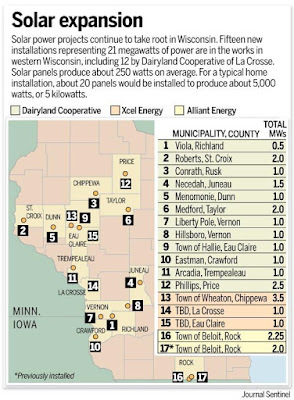 Today, Dairyland Power Cooperative announced that it is contracting to build 12 solar projects throughout western Wisconsin which will provide 15.5 megawatts of solar power capacity. The projects will provide enough energy to power over 2,500 homes, according to Dairyland Power. 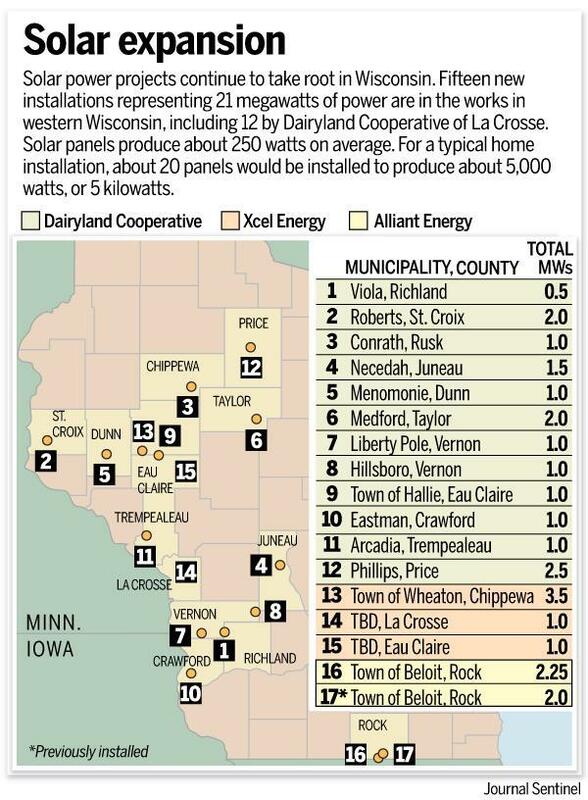 “We congratulate Dairyland Power Cooperative’s leadership in advancing solar energy in the State of Wisconsin,” said Tyler Huebner, Executive Director of RENEW Wisconsin. “Wisconsin is coming off its best year ever for solar power, with 7.5 megawatts installed in 2015, three times more than any prior year. Dairyland’s announcement ensures that 2016 will surpass that and become Wisconsin’s biggest year ever for solar. In fact, it’s quite possible that the amount of solar generation coming online in 2016 alone may double the 25 megawatts already in place when the year began,” added Huebner. The Xcel Energy community solar projects were also announced Wednesday, and will be the largest community solar arrays in Wisconsin. Madison Gas & Electric has also filed with the Public Service Commission to build a 0.5 megawatt project. “We also applaud Xcel Energy’s announcement to continue the momentum of community solar arrays in Western Wisconsin. 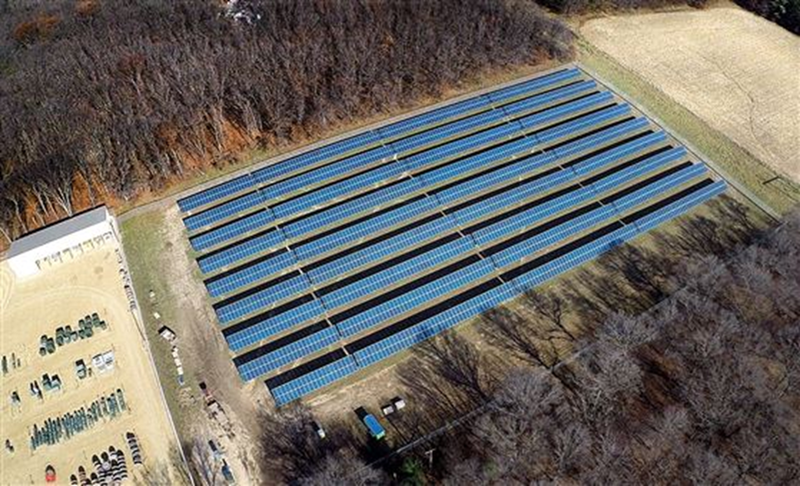 With the cost of solar projects down 60% in the past six years, utilities, businesses, and average citizens alike are taking advantage of affordable and clean solar power,” added Huebner.